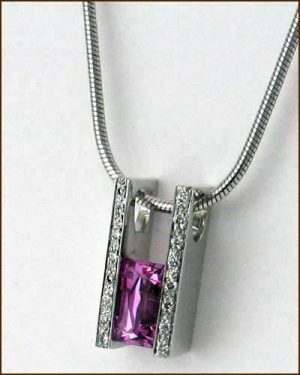 This exceptional contemporary 18k white gold design features a .91 ct intense pink Tycoon Cut sapphire and .08 ct of excellent round diamonds. 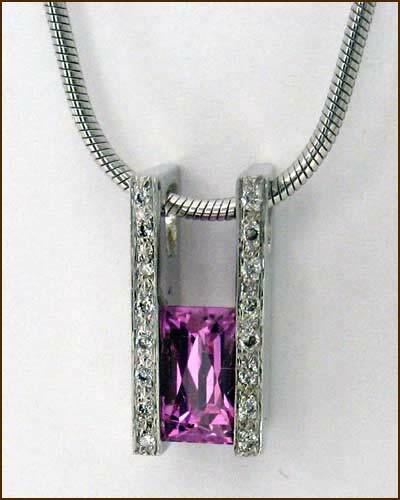 The Tycoon company created this cut to bring out all the fire and beauty so lacking in ordinary emerald shaped stones. A 16″ 14k snake chain completes the package now available at a greatly reduced price.